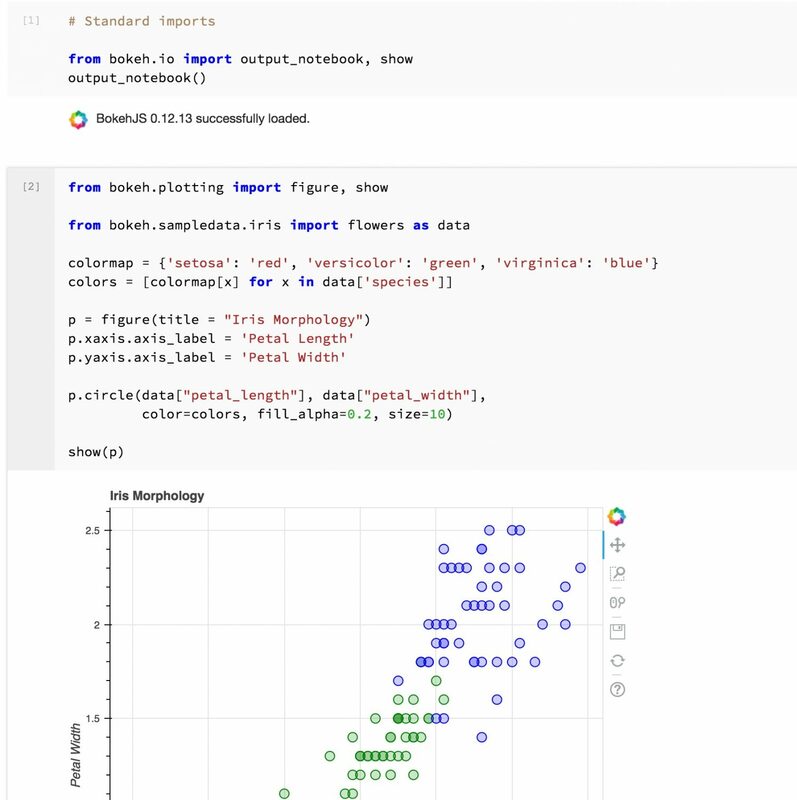 I am a supporter of using Jupyter Notebooks for data exploration and code prototyping. It is a great way to start writing code and immediately get interactive feedback. Not only can you document your code there using markdown, but also you can embed images, plots, links and bring your work to life. Nonetheless, there are some little annoyances that I have, for instance the fact that I need to launch a Kernel to open a file and having to do that “the long way” – i.e. I cannot double-click on the file that I am interested in seeing. Some ways to overcome this include looking at Gihub versions of my code as the notebooks are rendered automatically, or even saving HTML or PDF versions of the notebooks. I am sure some of you may have similar solutions for this. Last week, while looking for entries on something completely different, I stumbled upon a post that suggested using nteract. It sounded promising and I took a look. It turned out to be related to the Hydrogen package available for Atom, something I have used in the past and loved it. nteract was different though as it offered a desktop version and other goodies such as in-app support for publishing, a terminal-free experience sticky cells, input and output hiding… Bring it on! I just started using it, and so far so good. You may want to give it a try, and maybe even contribute to the git repo.